This holiday season, be prepared to be woo’d by Isabella Gonzalez and her sultry voice. 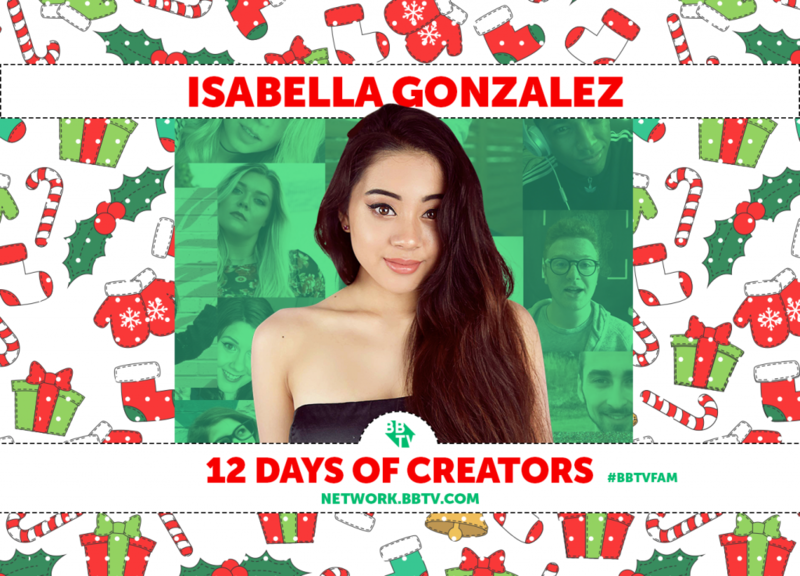 Today’s segment of BBTV’s 12 Days of Creators features this up and coming singer and songstress making waves on YouTube with her beautiful voice and lovable character. Recently, she shared an original song for the holidays called “A Merry Christmas With You” and we can’t enough of it! The music video is accompanied by a fun vlog showing the making of the music video and hilarious clips of the YouTube star Christmas shopping with her family. Her bubbly personality is as enchanting as her new Christmas song. Make sure to watch the music video and add it to your holiday music playlist!